Beverly Robertson was the founder of Bushwakkers and helped change brewing in the province. The local institution became a meeting ground for amateur brewers, many of whom went to found their own craft breweries. It was long before the days of ever-present hoppy beers and local brews on tap when Beverly Robertson started the Bushwakker Brewpub in Regina — to which many of the microbreweries in the province, and certainly the city, can trace their origins. Robertson, who suffered for years with lymphocytic leukemia, died on Nov. 19. Robertson was a physics professor at the University of Regina before opening the brewpub. The story, according to the pub's website, goes that Robertson — known as Bev to most — first got his taste for craft beers while on sabbatical in Stuttgart, Germany. When he was back in Regina he would order beers from overseas. But according to Grant Frew, the bar's manager, Robertson's beers would often be stale and pale in comparison to a fresh product. So he decided to start brewing in his own kitchen. "Having such a strong science background, he really understood what was going on with fermentation and the different temperatures and water chemistries. So he was able to put out some really good beer," said Frew. Robertson then shared the creations with his colleagues at the university, and soon after a tradition emerged. "A lot of these people enjoyed cross-country skiing, as Bev did, so they had this ritual. They would brew a patch of beer then they'd go cross-country skiing around the university, breaking fresh trails in the brush," said Frew. "They called themselves the bushwhacker brewers." When Robertson finally made the decision to open his own brewpub, there were a few snags in the plan. He didn't have much business experience and at the time, brewpubs weren't legal in Saskatchewan. "He was very kind and supportive. Coming from the academic world he was very opinionated," said Jeff Allport, founder of Nokomis Craft Ales. "I think that's what drove him to get changes done with government with our arcane liquor laws." Knowing a few MLAs, Robertson had their ear when it came to updating the legislation. "Bev said, 'This craft beer wave is coming, and you don't want to be the last province in Confederation to make legislation for brew pubs,'" said Frew. In the late 1980s a few licences were handed out and Saskatchewan had its first brewpubs, but the Bushwakker wouldn't open until 1991. Frew joined the pub in February of that year and worked with Robertson ever since. "He was probably the smartest guy I'd ever met in my whole life," he said. "He was always willing to share." That willingness to share can be seen to this day. Soon after opening the brewpub, Robertson and his fellow home brewers started the perfectly acronymed Ale and Lager Enthusiasts of Saskatchewan (ALES) as a way to further foster the brewing scene in Regina. "Bev always wanted to see a strong craft-brewing culture in Saskatchewan. He never had a protectionist view ever. He always felt the more, the merrier," said Frew. Several past and present members of ALES have been able to turn their brewing hobby into a profession, including Rebellion Brewing's Mark Heise, members of the Pile O' Bones Brewing Company, Allport with Nokomis Craft Ales and Adam Smith with Malty National. "They fostered an enjoyment of craft beer in Regina and Saskatchewan before basically anyone else," said Smith. The ALES club was instrumental in Smith's ability to start his own brewery. "Without that, me and my partner Kelsey, who started this brewery, our homebrew level wouldn't have flourished likely, and maybe we wouldn't even have the brewery that we have today without the club." Robertson would attend some of the meetings and was happy to see where craft beer had gone in the province. Allport feels his influence was crucial. 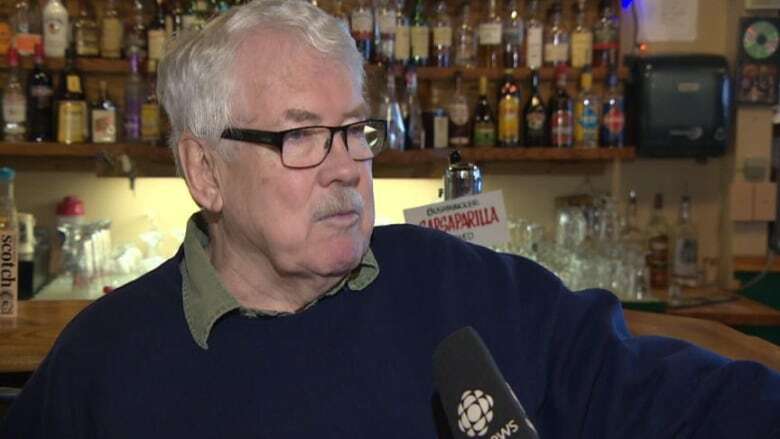 "I think it's accurate what people do say about [him] being the grandfather, or the founding father of the craft-beer scene in Saskatchewan," said Allport. The ALES club still meets in the basement of the Bushwakker once a month. A public ceremony to remember Beverly Robertson will be held on Nov. 27 at 2:00 p.m. CST at the Jacqui Shumiatcher Room at the Conexus Arts Centre in Regina. Following the ceremony there will be a celebration of his life at Bushwakker at 5:00 p.m. All proceeds will be donated to the Allan Blair Cancer Centre.